Venerable indie and experimental pop band Animal Collective played a sold-out show at Oakland’s Fox Theater on Mar. 7. The large, ornately decorated venue proved perfect for the kind of show the psychedelic pop-rock band provided. The stage was covered in paper cutouts and geometric sketches; the high ceilings and fast moving, variegated lights created an ethereal atmosphere that drew audience members into a dreamlike trance. The visual effects — complete with tessellating lights and intricate, interweaving designs with splashes of vibrant primary colors — contributed enormously to Animal Collective’s stage presence. Avey Tare (David Portner) and Panda Bear (Noah Lennox), both vocalists and songwriters of the band, led the crowd seamlessly through their set, mixing through transitions with minimal talking. As expected, the experienced band sounded very sonically refined — bringing to life almost the exact same sounds one hears on their records — and even embellished some of their pieces with live improvisation. Unexpected live electronic tags followed a couple songs, leading the audience into a dancing frenzy. Flailing limbs and bobbing heads were visible from even the very back of the jam-packed venue. In a rare moment of speech about halfway through the set, Tare said to the audience, “I’m feeling good,” to massive cheers of the crowd. He gave a nod to Animal Collective’s opener that night, rap group Ratking and added, “especially after Ratking.” The other members of the set — just as in the remainder of the night — did not cease playing instrumentals, providing background music for Tare’s words. “Thanks for having us!” he called out before delving into “Bees” off their 2005 release Feels. A backdrop of cobalt blue, through which brightly colored fish occasionally swam, hung behind the band. The striking background and strong drums had everyone moving to and feeling the beat in some way or another. 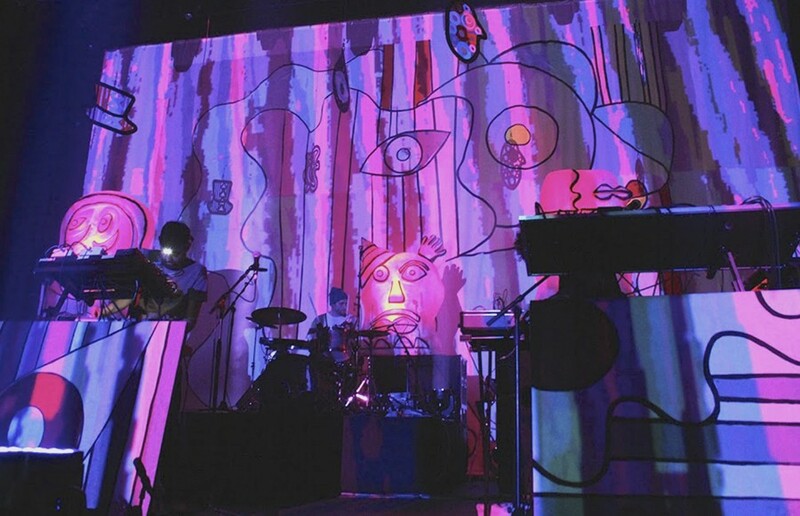 In addition, the fantastic acoustics of the Fox Theater added greatly to the ambience of the show, creating a surround sound effect that caused Animal Collective’s energetic music to permeate through the air between the crowd’s closely pressed bodies. A couple of crowd surfers even cruised by on the audience’s hands, adding to the surreal atmosphere with their appeared levity. To close, the band played a relatively expected encore to the crowd’s calls, finishing with the emotional “Loch Raven” into the feet-pounding, manic “FloriDada.” It was, all in all, a stupendous journey of a night — a trip, surely, to be remembered. Contact Eda Yu at[email protected].